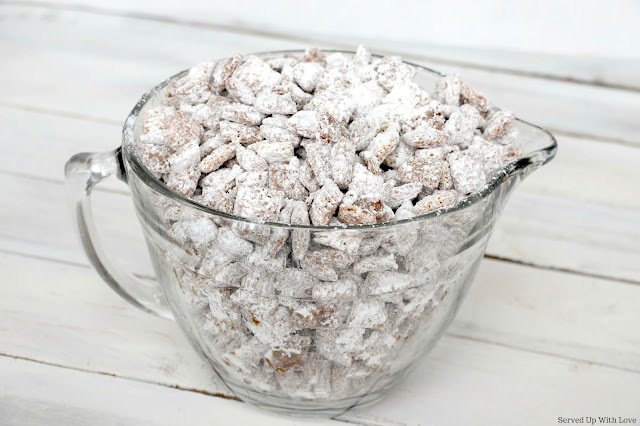 Muddy Buddies are such an easy snack recipe to make for any holiday or occasion. The kids absolutely go nuts over it. My husband and I don't go big for Valentine's Day. We just never really have. But we do make sure our kids get a little something special just to know how much we love them even though we show that love all year. 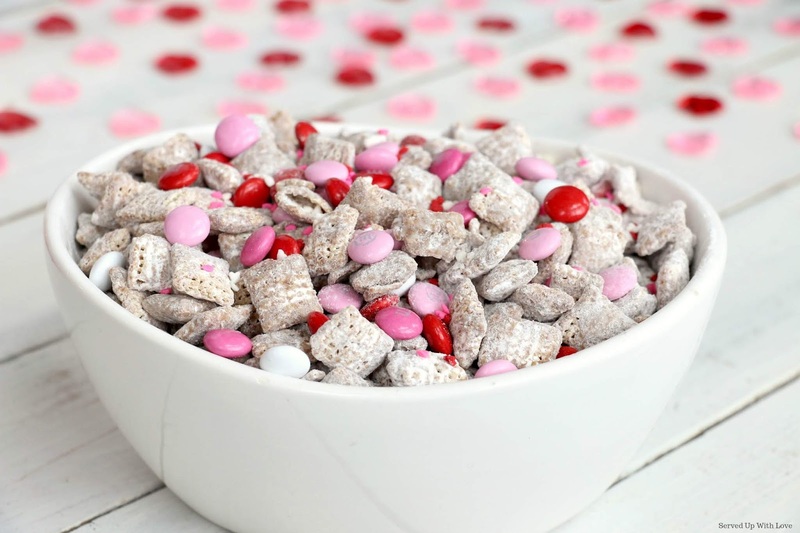 This Easy Valentine's Day Cupid Chow is one of those recipes that they just love to snack on. 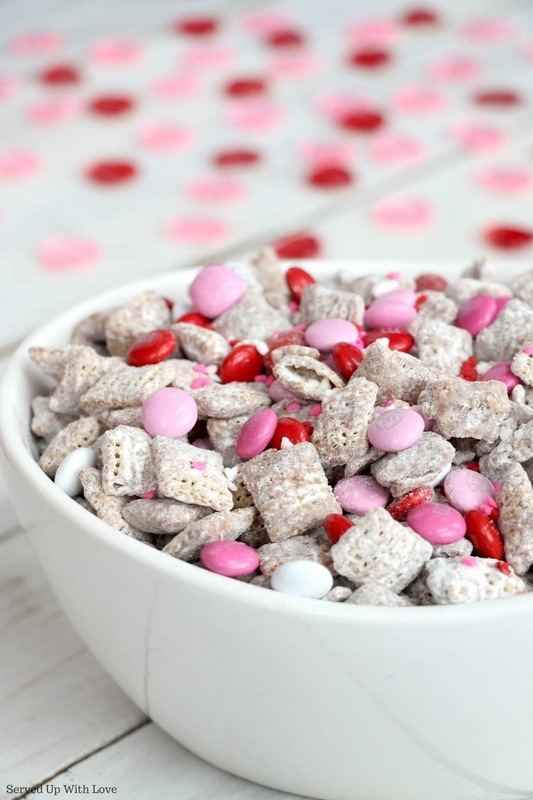 It is a highly addictive snack mix that is super fun and festive for Valentine's Day. You really can't get much easier than this recipe. It starts off with chocolate chips, peanut butter, and butter. Combine the chocolate chips and peanut butter together in a microwavable bowl. Microwave the chocolate chips and peanut butter for a minute. Stir until all melty and creamy. 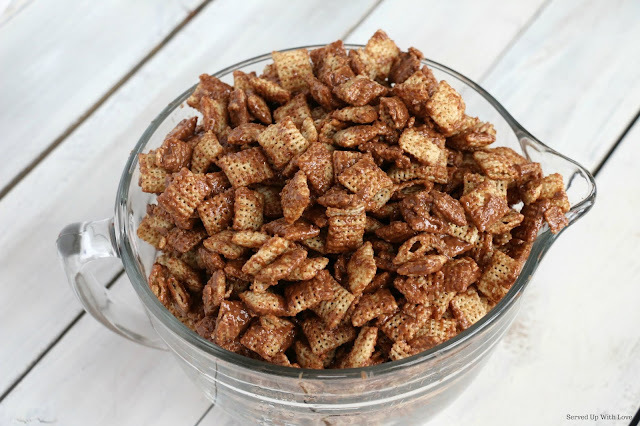 Pour the melted chocolate and peanut butter over the cereal until combined. Honestly this is good just like this but we take it just a step further. Sprinkle powdered sugar and combine all the chocolate covered cereal with the powdered sugar. Add in your festive candies and sprinkles and let the fun begin. This Valentine's Day Cupid Chow is so delicious, you won't be able to stop eating it. Make this addictive snack for your loved ones and watch all the smiles. Sweethearts Bark is another fun and festive Valentine's Day treat that comes together quickly at the last minute. And of course Cherry Chocolate Cake, Brownie Sundae Pie, and Strawberry Chocolate Chip Cookies are great desserts to show the one you love how special they are. Because the way to their heart is through their stomach. So why not make it a dessert. 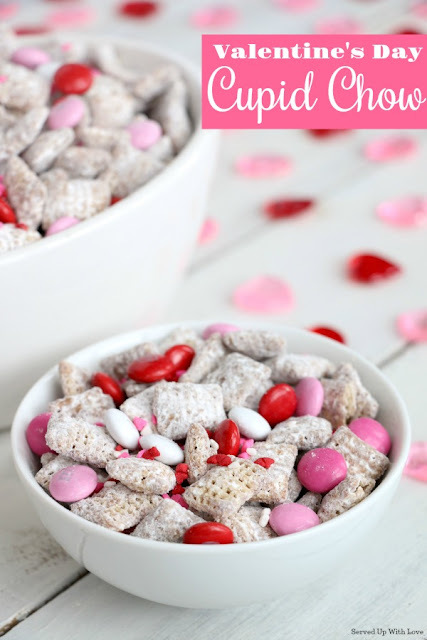 An easy, fun, and festive Valentine's Day Cupid Chow Muddy Buddies recipe to show your love to the ones that have your heart. 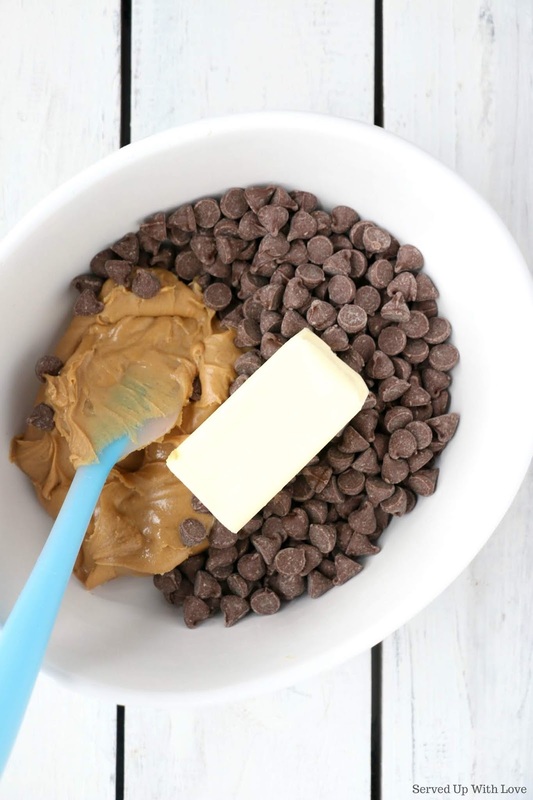 Combine chocolate chips, peanut butter, and butter in a microwavable bowl. Microwave for 1 minute, then stir until melted and creamy. Add vanilla and stir. 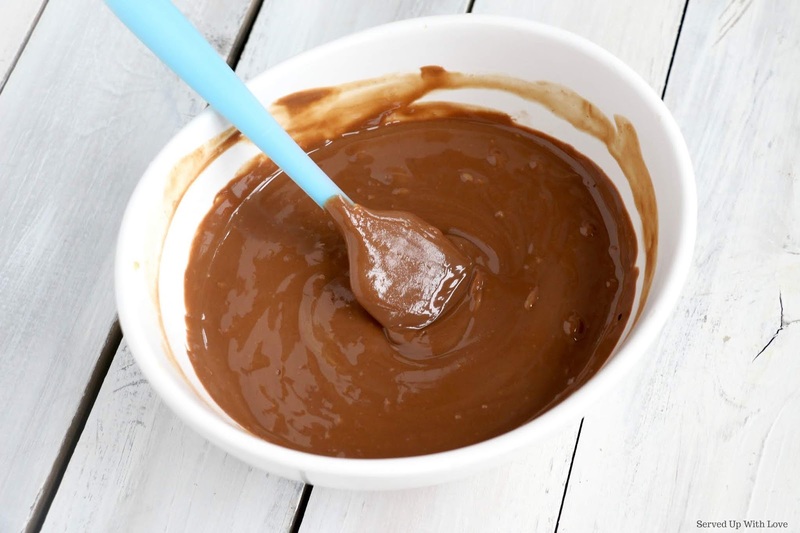 In a large bowl with a cover, pour chocolate mixture over cereal. Cover and shake until cereal is evenly coated. Sprinkle powdered sugar over cereal. Cover and shake until evenly coated. Add candies and sprinkles of your choice. Such a fun yummy snack. I just love the festive colors and your photos are BEAUTIFUL!